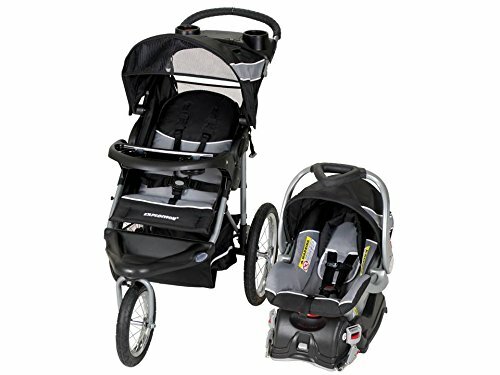 The Baby Trend Expedition Travel System comes complete with the Expedition Baby Trend 3 Wheel Jogging Stroller and the Baby Trend Flex Lock 5-30 pound infant car seat with lock in car base. The stroller features a lockable front swivel wheel for jogging or allow to swivel for easy maneuverability, the wheels also feature a quick release for extra compact storage, and the wheels also feature all-terrain tires. The stroller also features both a parent tray for 2-beverages and covered storage as well as a conenvient child tray, in addition to a large storage basket. The push handle is extra wide, ergonomically shaped and foam padded, and the adjustable canopy with covered sunroof ratchets to block the sun and wind. The stroller features a multi-position reclining padded seat with a fully adjustable 5-point safety harness and tether strap, and reflectors on the footrest to provide greater low light visibility. The stroller features a compact lightweight fold for easy storage, and will accomodate children up to 50 pounds and 42 inches tall. The Flec Lock 30 infant car seat accomodates weights 5-30 pounds and heights up to 30 inches tall. Features a 5-poiont safety harness; easy one hand harness adjustment and push button release, and 4-position push button height adjustable base with level indicator for proper installation. The Flex Lock car seat also features EPS energy-absorbing foam for superior side impact head protection, and seat pads and inserts are easily washable. The large smooth carrying handle allow for easy transport of child and seat. The Flex Lock Infant Car Seat easily removes from car seat base to allow a quick and easy click in attachment to stroller to make the Travel System. When using as a travel system you should only walk. Jogging function of the stroller, child is in the stroller seat only. Recommended use stroller: birth – 50 pounds or 42″. 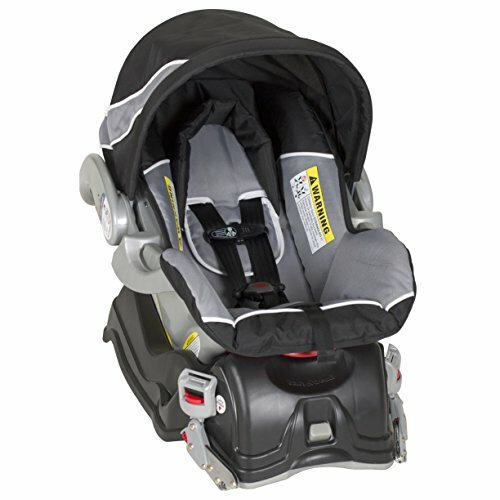 Car seat: 5 – 22 pounds and up to 28.5″. Q:Is the car seat included? Q:does this stroller work well for taller parents? Q:does the travel system come with a car seat base?